It’s the building, not the groups using it. That continues to be the message the City of Marshalltown is trying to express regarding the location of the Senior Citizens Center. The City says the aging building is getting too expensive to maintain, not to mention renovate. 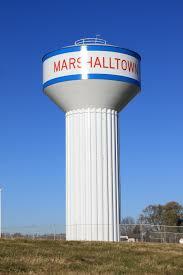 Marshalltown Mayor Joel Greer realizes the situation is ruffling some feathers. The Mayor says he feels one of the best options, down the road, may be for the Senior Center to be housed as the Veterans Coliseum, once that building is upgraded.